How can I make a two-eye-view effect using two cameras? Then I created two Post Process profiles for each camera, CC and CC1 in the Inspector. But it seems to me a bit odd. Since the view through both eyes looks the same. Shouldn't the right eye be rotated or something, so it's completing the view from the right side? That is, I don't want both cameras (eyes) see the same (right-hand) view. As you can see from the image above, notional cameras have what's called a View Frustum; To put it simply, it simulates what the human eye would see in real life between a near and far plane (you can always read more here). Remember that when making a mask, the white portion of the image should have an alpha of 0. And that's it! 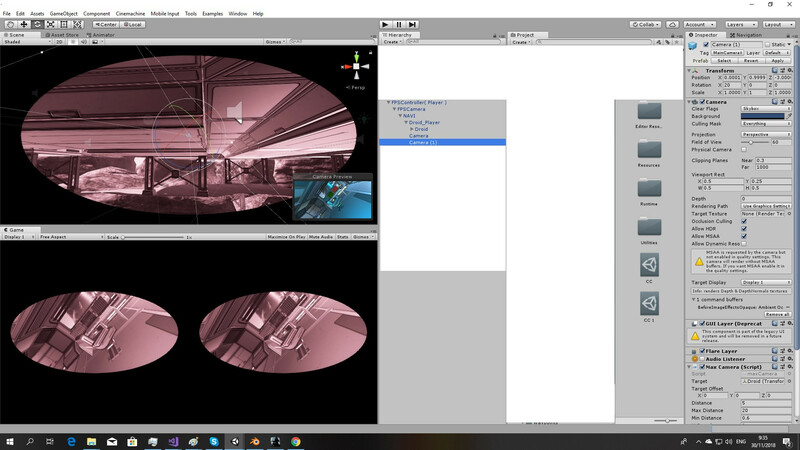 To improve even more the effect, you could try making the "lenses" with a gradient, adding multiple layers of textures with different drawing orders to create dirt, or waterdrops, animate the mask to act as an helmet that is being put on / took off ecc..
How to fold a view from 2 3D cameras in Unity? 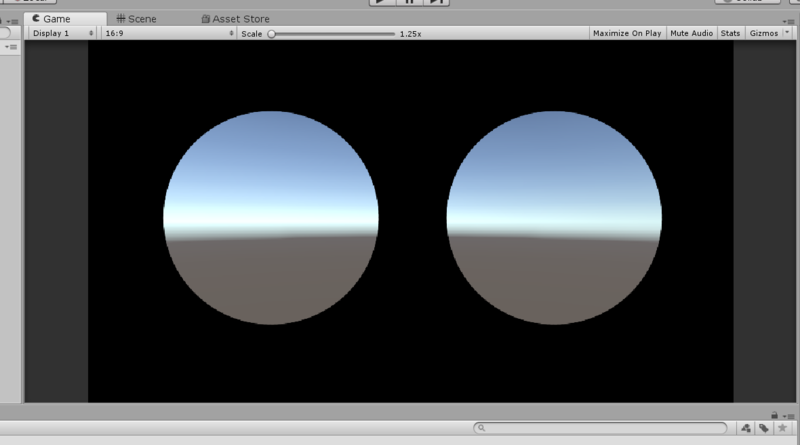 How to swap between two player objects in Unity? I have a switch cameras script and two cameras but the switching is not working good. How can I manage all the null exceptions?